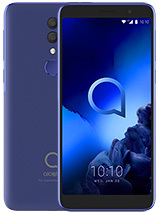 It's a nice phone..and you can download any applications or games of 240x320 resolution,even touch apps and games.. To upgrade your opera just goto m.opera.com from your operamini. Then click "other download option" on the site and click on "select code certificate of operamini 6" and select "all certificate". Then it will start download and ask whether to replace older version. Press yes on that option. Your opera mini will be upgraded. When on "wifi" ma phone has great speed. So try to use wifi preferd in java network option. 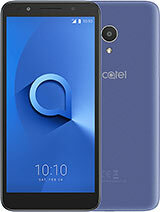 I used many phones but I still love this phone..
You have about 150 games for your alcatel OT-806.Just unrar them(they are jar files all) and transfer via usb cable to your phone(it is recomended to your memory card because of big file) and install them and play. Byda, 13 Jun 2011i need games for my Mobai (ALCATEL OT 806) I have about 70 games for that phone.if you want i can upload them at rapidshare and then you can transfer them to your mobile via usb cable. Just in search type games and then 240*320 touchscreen.when you find game that you want with your mobile go to m.umnet.com and enter download ID. I also downloaded from that site.I also have about 100 games for that phone on my laptop.i can upload them to rapidshare. For those who has inquiries regarding does it have wifi or not, don't be confuse guys. The picture that appears on this site is just 806 not 806D. The first one doesn't have any wifi but the 2nd one has. Different keypads and screen displays. 1. the downloaded wallpapers doesn't fit the screen. 2. battery time is not what I've expected. 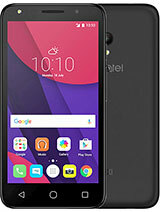 aside for those 3 concerns, this phone is good for it's price. thanks! I bought OT-806D from a German online retailer and it comes with Opera installed in German. Is it possible to uninstall the german version and install the English version? AnonD-9769, 11 Jun 2011just like u install any other java app or just update your phone http://www.alcatel-mobile... morewhere do u live GGG? AnonD-9769, 11 Jun 2011just like u install any other java app or just update your phone http://www.alcatel-mobile... moredo u mean manually from pc? 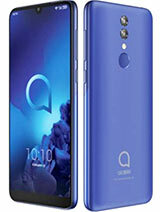 i want to buy the phone do ou know where and cheap? 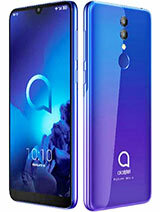 anybody can show how to install opera mini 6 on this lovely fone? Vik, 06 Jun 2011the wireless card is starting on it self to turn on the wi-fi and spending my battery energy m... moreIt is possible that an application maybe running in the background. Check to see if any application is running. I have reasons to believe that the Weather Application or the Email application may be trying to connect to their web servers. Make sure that the weather application is set to update 'Manually'. Similarly set the 'Fetch Inverval' to Manually in OneTouchMail's Push Settings. Hope it helps. 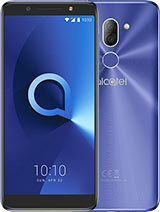 Total of 734 user reviews and opinions for alcatel OT-806.